Veterans Day 2013 ~ Honouring All Veterans! Remembering all those who have fought and died. The 11th hour of the 11TH DAY OF THE 11TH MONTH of 1918, World War I ended. Though the Armistice was signed at 5:00 AM, fighting continued till 11:00 AM, killing nearly 11,000 more men. The Veterans Day National Ceremony is held each year on November 11th at Arlington National Cemetery. The ceremony commences precisely at 11:00 a.m. with a wreath laying at the Tomb of the Unknowns and continues inside the Memorial Amphitheater with a parade of colors by veterans’ organizations and remarks from dignitaries. The ceremony is intended to honour and thank all who served in the United States Armed Forces. Every one of our Soldiers, veterans and their families deserve to be applauded for their strength, devotion and service to this nation. It takes a profound strength to wear this nation’s uniform. Though one day they remove this uniform, no amount of time, nor strife can sever the golden thread uniting these veterans in a unique and everlasting bond. But these Soldiers – our veterans – don’t see themselves as being brave or special, they just say they’re doing their jobs. On Veterans Day, Remembrance Day, Armistice Day or the Day of Peace – this day has many names – the world stops in silence to pay tribute to the heroes of the battlefield who never see themselves as heroes. I believe we owe our veterans more than our silence, our memories, and our thanks. President Kennedy once said, "As we express our gratitude, we must never forget that the highest appreciation is not to utter words, but to live by them." Don’t just say “thank you” to our veterans, show it. 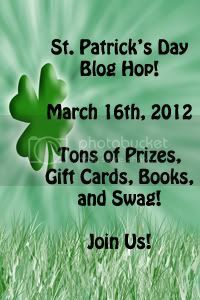 Welcome to my stop on the St. Patrick’s Day Blog Hop! Beannachtaí na Féile Pádraig oraibh! 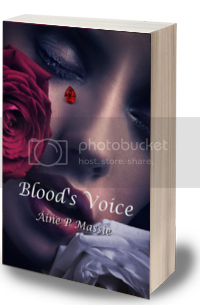 I’m stop #98 and proud to join so may great authors and bloggers. St. Patrick drove the snakes out of Ireland, at least according to legend, but what he really did was eliminate a lot of the old Pagan faiths by introducing Christianity. Many Pagans and Wiccans quietly protest St. Patrick by wearing a serpent pin or shirt on St. Patrick’s Day. As an openly Wiccan woman I proudly wear my snake. Do not mistake my pride as discrimination though. I also wear my green and even have a Guinness Stout to celebrate with friends and loved ones. But, for me the day is about pride in my heritage, not in any one faith. Had to give up the corned beef and cabbage (vegetarian), but I’m sure one of you lovelies will eat some for me. What do you do for St. Patrick’s Day? A part of the blog hop, all you need to do to enter is comment on this post and sign up to follow my blog with Feedburner (RSS or Email – both are to the right also). 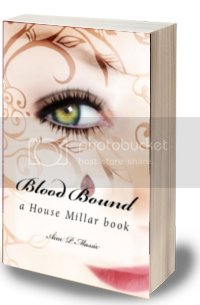 When you do, your are entered to win a eBook 2-pack of the House Millar series – your choice of formats. So leave a comment and sign up for my RSS or Email. Then, go to the other 120 authors and do the same there! 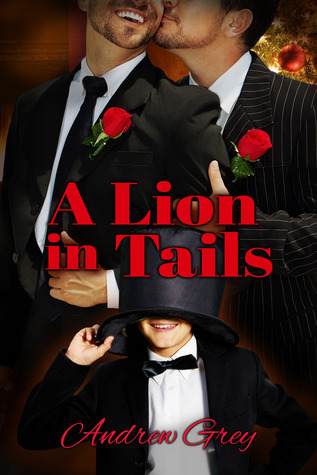 Each blog has a giveaway and is part of the GRAND PRIZE. You can enter on each post and have your name in the pot a total of 122 times. At the 11th hour of the 11th day of the 11th month, the time the Armistice of World War I was signed in 1918, we observe two minutes of silence to remember. I wanted to send a Happy Thanksgiving to all my Canadian friends. I was born in Canada back in 1815. No, I won’t tell you where, you’ll just have to guess. But I still love and cherish my homeland and uphold ‘our’ holidays. For those of you that don’t know, Canada celebrates Thanksgiving on the second Monday in October (this year it’s on October 10th). Just like in the US, where I currently reside, Thanksgiving is a three-day holiday weekend, though ‘we’ move which day the feast is more often than in the US. Happy Harvest and Happy Thanksgiving!